So the World Cup kicked off yesterday and in case you are a huge footie fan you can kiss goodbye to your other half for the next month while he gets into the samba fever in Brazil. Benefit have come up with a genius way for you to spend the next 30 days and they involve beauty treatments and cocktails. 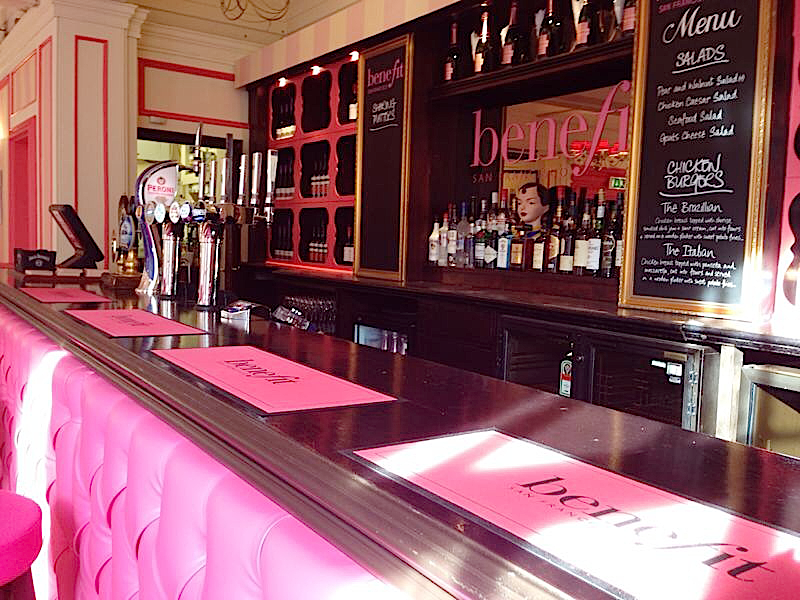 They have created the Bene-pub aka Gabbi's Head, a gorgeous venue where you can chill out with your gal pals and under go some serious pampering while sipping a delicious cocktail or two. For those of you who are partial to a bit of footie, Benefit will be showing all the matches while paying a lot of attention to the hotties on the field. Not a bad way to spend an evening we say. You can find Gabbi's Head on 150-151 Dury Lane, 1st Floor, Covent Garden, London, WC2B 5TD (Above the Price of Wales). It will be open from today till Sunday 13th July from midday till late.